When Montpelier was renovated in ca. 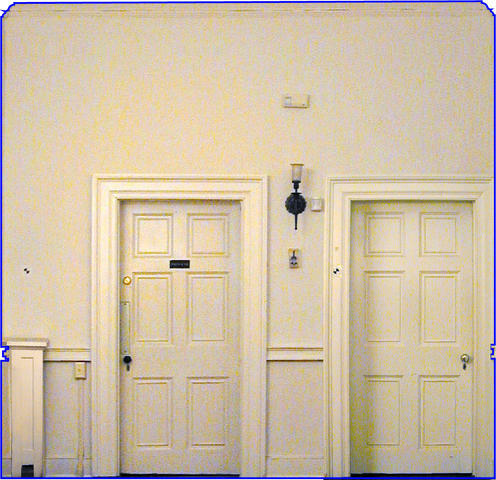 1901, the chimney and fireplace on the northern wall of Madison's Room were demolished and replaced with two doorways. After the walls were plastered and floors repaired by the duPonts' craftsmen, it became impossible to tell that a fireplace had once been found in the room. So how did the Restoration Team reconstruct the fireplace when so much of it had been lost? The north wall of Mr. Madison's room before restoration.